Many folks who rent a pontoon boat aren’t quite sure what to expect so here are a few things you may want to know before renting a pontoon boat: First off, pontoon boats aren’t as fast as center consoles or flats boats. Though our rental boats have the highest horsepower engines compared to other rentals, you shouldn’t expect to go more than 20 MPH. Pontoon boats are designed to take a nice leisurely cruise up and down the river with a BUNCH of your friends, that’s why they have so many seats. When deciding where to seat your friends and stow your gear, try to evenly distribute it fore and aft and side to side. If you stick 1,600 pounds of weight on one side or the other (8 two hundred pound men) and 200 pounds on the other side (4 fifty pound kids), the boat will be lop sided and you won’t enjoy the ride. The Homosassa River is full of rocks! You should expect to hit a rock any time you get out of the channel. The channel is clearly marked, just follow the markers by keeping the green ones on your right as you’re heading to the Gulf and the red on the right when returning from the Gulf. Some folks are color blind, that doesn’t mean you can’t drive a boat and stay in the channel. Not only are the markers color coded, they also have different shapes and numbering. Red markers are all even numbered and green are all odd numbered. Also, the evenly numbered red markers are all triangular in shape and the green, odd numbered markers are rectangles. Some of the markers are floating and are shaped a little differently: the green “cans” look like a soda can while the red Nuns look kind of like a dunce’s cap with a rounded top. If you’re color blind, can’t read numbers or differentiate shapes you should probably either bring a pocketful of money to pay for replacement lower units or let someone else drive. You should learn the basic rules of the road. Here are the important ones: when meeting another boat head on, you should both veer to your right to avoid a collision. That means the other boat will be passing on the left (Port) side of your boat as you will be to theirs. Assuming both of you know the rules, this will take the guess work out of deciding which way to veer off. It should be somewhat natural if you drive a car here in the States because that’s exactly what we do every day on a 2 lane road. If you are crossing in front of another boat’s path, the person on the right (starboard) side of the other boat is the stand on vessel (in car language that means you have the right of way). 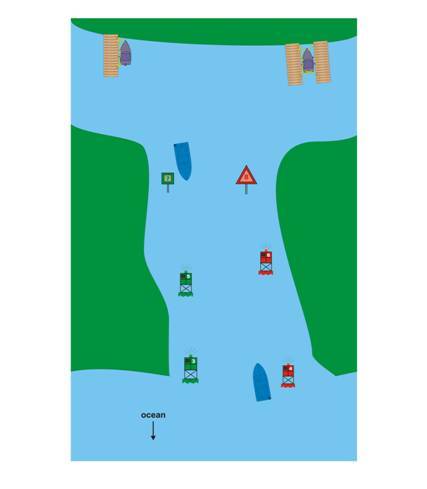 If you are the boat on the other guy’s left (port) side then it’s your responsibility to give way (you need to adjust your course and speed to get out of the way). This doesn’t mean speed up to try to slip in front of him, the best course is usually to either slow down or cross in back of him. Ever wonder why there is a green light on the right side of every boat and a red one on the left? At night if you see a green light it means you are on the other guy’s right side and as such are the stand on vessel. If you see the red light it means you’re on his left and must give way. So if you can’t remember who has the right of way during the day, just look at your own running lights and if the other guy is on your green light side it means YOU need to alter course or speed to get out of his way. When someone is coming up behind you, you are the stand on vessel: keep driving the same course and the same speed since it’s the other driver’s responsibility not to hit you. Just like in a car, the person who rear ends you is always at fault. You should not try to pass anyone in tight quarters (like the channel hint hint) unless you have indicated your intent to do so to the other driver and he has indicated his approval. Remember, if you’re the one in front and someone is barreling up on your rear, YOU have the right of way and shouldn’t get out of the channel to let the other guy pass, you’ll just end up hitting a rock and Speed Racer will go on like nothing happened. You are responsible for any damage your wake may cause. What? If you throw a 3 foot wake that capsizes those kayakers you like to torment and any of them get hurt or lose/break their gear they get to sue you – and WIN. Drive by a marina (like ours with up to 32 boats tied to the dock) and have your wake throw them all into the pilings and bang them up and YOU get a bill to repair all 32 of them. Don’t anchor in the channel. That means don’t have any part of your rode (either the anchor line, chain or anchor) crossing any part of the channel. If someone is fishing, pass around the front of their boat but pay attention to an anchor line. Usually, people will either be trolling lines off the rear of the boat or they’ll have a chum slick going down tide from the rear so the front is usually the least disruptive. Don’t make other drivers guess what you’re going to do or wonder if you see them. Make any course adjustments as soon as you can and make large enough changes that the other guy knows what you’re doing. You are now better educated than most of the boaters you’ll see on the water. However, as my Dad used to say, “just cause you were right doesn’t mean you’re not wrong.” The final Rule of the Road to remember is that every captain has the responsibility to avoid a collision. The Coast Guard always gives out 2 tickets in a collision, one to each driver because both of you had a duty to avoid a collision. So assume the other guy knows what he’s doing, but be prepared to deviate to avoid a collision even if you’re the stand on vessel. In order to perform at their peak, the engine needs its propeller fully submerged in the water, preferably “clean” water. Cavitation is the bane of pontoon boats because seagrass gets funneled down the length of the pontoon and gets stuck on the engine bracket in front of the prop, disrupting the waterflow to the prop and causing air pockets which in turn cause CAVITATION. You’ll experience a dramatic increase in RPM and an equally dramatic decrease in speed. You don’t fix cavitation by going faster, in fact you make it worse AND mess up the engine by over revving it. The key to avoiding cavitation is to properly balance the load in the boat by putting more weight in the rear so the prop goes lower in the water column and hopefully finds clean water. Lower your RPM’s, 3500 – 4000 is a good operating range. Finally, trim the motor ALL THE WAY DOWN – again, we’re trying to find clean water deeper in the water column. You probably won’t experience cavitation on the way out, because there isn’t any grass in the river and the water isn’t all churned up. On the way back in you’ll notice you’re driving through heavier wake and waves because of everyone trying to get out of the storm and to the Springs and the boat is getting bounced up and down. Just remember the engine is attached to the boat (hopefully) and it is also going up and down with the boat in and out of clean water. Most folks get a little wigged out with the wake and the cavitation and end up doing exactly the wrong thing: they trim the engine up and try to go faster – and end up going SLOWER. Cavitation doesn’t mean the boat or the motor are broken, but the motor will be if you over rev and then over heat it. Don’t get upset when other boats are passing you, they may have bigger engines or a lighter load or different size pontoons. To clear seaweed, you can either bring the boat to a stop and then shift from forward to neutral to reverse and then back again or you can shut the engine off, trim it up and pull the seaweed out. Given the choice between driving through a clump of grass on the surface or clear water, choose the later and have a much better ride. Remember that tip on weight distribution? If all the weight is on the front of the boat, it will dip further into the water. If the front of the boat goes down, the back of the boat will go up – bringing the prop out of the water and cavitating. If the boat is cavitating and you’re not running through grass, try moving some of the weight to the rear of the boat; this should put the prop back into its proper depth and make the boat run better. YOU are the captain of the vessel and as such are responsible for making safe decisions for yourself and your crew; the safety of your crew and the vessel is in your hands. There are times when it is not safe to be on the water: lightning, high wind, heavy rain or strong sea conditions are among a few. If you see these conditions developing, you should modify your float plan in order to avoid them thereby keeping your crew safe. Check the weather BEFORE you leave the dock. Our policy is to never penalize a boater for deciding to cancel their trip due to adverse weather conditions. If you don’t think it’s safe to leave the dock, don’t do it. Regardless of what weather develops, once you leave the dock you are responsible for the full rental – so if it looks questionable don’t leave the dock. There are times when we’ll take the decision out of your hands; if we know the weather is unsafe we will cancel all reservations for that day. If the weather is poor, check our Facebook page to see any notifications: look up Homosassa Springs Marina. If you return to the dock during a lightning storm, please understand that we won’t permit our staff outside during lightning so you won’t have any dockside assistance. Tie up as quickly as you can, leave the gear on board and get inside to shelter as quickly as possible. Your gear will still be on board and your crew will be safe. YOU are driving our boat, not us. As the captain, you are responsible for any damage that occurs due to your driving. Your rental fee only covers the rental of the boat, not any damage you cause. Your contract will show the current costs for the most common parts damaged due to “captain error.” During your pre-departure briefing we will show you the condition of each of the major components of the vessel which we will then inspect upon your return. If you leave with a new prop and you return with a damaged prop there is no arguement you can make that will convince us to waive the cost of the damage caused by your operation of our boat. Please don’t tell us we are charging an unfair price for a prop or that you can buy it cheaper somewhere else. Every time someone destroys a prop they are also causing incremental damage to the gears and other internal engine components. If you run aground or cause other damage which makes the boat inoperable we will come out and rescue you, at the same hourly rate we charge for service. We know this policy sounds harsh, but if you drive safely and stay in the channel driving at a safe speed for the conditions, you won’t damage our boat and you won’t have to worry about paying for damages. If you’re not going to pay attention and drive stupidly, as John Wayne said “If you’re going to be stupid it should hurt.” Go back a few paragraphs and make sure you are familiar with the channel markers. Every time you go out for a boat ride you should file a Float Plan with someone responsible. What’s a Float Plan? In essence, it describes your boat, the folks who are on board, where you intend to boat for the day and when you should be expected back. If you have a VHF radio, the channel you’ll be monitoring and if you have a cell phone on board list the phone number. Along with the required Coast Guard safety gear, I would consider this a mandatory pre-departure check. 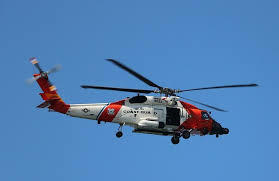 The Coast Guard is very responsive once called to locate a missing boater, but I can tell you it’s still extremely difficult to find a boat from the air. The CG says you need to have at least 3 flares or signaling devices on board. Are 3 flares enough? I know from experience that you’ll pop that first flare prematurely and will be left with only two, at which time you’ll be wondering when you should actually pop them. I would have 6-8 on board, both hand held and aerial (the later if you might be stranded in mangroves or something else that limits a clear line of sight to you).. and yes, people can see them from a long way if they’re looking but not everyone is looking. Even if you just plan to stay close to shore, an EPRB is an extremely good idea. These are locator beacons that send out your GPS coordinates via a distress call that will be picked up via satellite. The Coast Guard’s average time to pluck you out of the water once an EPiRB is fired off is less than 45 minutes. Have an older VHF radio? Check out the new ones that integrate with your GPS and send out an automatic distress call with your GPS coordinates. Push the Distress button once then let the radio do that work for you while you focus on keeping the boat afloat and tending to your crew. Here at the marina we’re happy to hold your float plan and think every one of our customers should file one with us. If your boat was known to have left our marina, the Coast Guard and Sheriff are going to call us first for any information we might have anyway, so having good answers for them will help get you home quicker.